Hi my name is Anita and I was addicted to heroin, crack cocaine, acid,weed, cigarettes and methadone. I was healed from everything on Dec 27th 1991 and its been 23yrs that i have been clean and writing books to with much more details of the life i lived that caused me to become hooked on these drugs. Also i was diagnosed with the HIV virus in March 1992 and it was prophesied to me that God was going to purify my blood by a total stranger which was a man of God in 1995. Congratulations on everything that you have been recovered from. Wow you have quite a life story, and what fantastic miracles you have experienced! God is good and thanks so much for sharing how He has worked in your life. 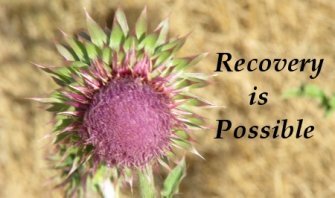 The healing from addiction and HIV are both miracles and hopefully those suffering will read your story and consider connecting with their higher power so they too can be healed!